Posted on September 8, 2016 at 11:04 am. Leading compensation and social justice law firm, Maurice Blackburn, has taken on the case pro-bono on behalf of former Adelaide gambling addict, Shonica Guy. Ms Guy, who told The Age she struggled with a pokies addiction for 14 years, isn’t seeking any form of financial compensation, just an affirmation that the machines are rigged to deceive. Principal of Maurice Blackburn, Jacob Varghese, said the law firm is writing a letter to Crown Casino and Aristocrat advising that an official lawsuit will ensue if action is not taken to fix two major design flaws the law firm claims the machines use to deceive people. 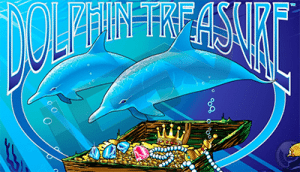 The particular game in question is the hugely popular Dolphin Treasure, which has been analysed by researchers at Monash University. Researchers concluded the machine uses an uneven distribution of the symbols needed to win across the five reels that form the game. Maurice Blackburn will attest the machine uses design features where images and sounds give punters the false belief they are winning when they’re not. Mr Varghese claims the machines encourage users to think they’ve had “near misses” at wins. The legal action has received full support from the Alliance for Gambling Reform, but Alliance spokesman, Tim Costello, acknowledges Maurice Blackburn are setting themselves up for an incredibly tough battle. Crown Casino and Aristocrat will have two weeks to respond to Maurice Blackburn’s letter and to offer a resolution before legal proceedings will begin in the Federal Court. If Aristocrat’s machines are proven to be deceptive, it will mark major ramifications for the multi-billion dollar pokies industry and the state governments that benefit from pokies revenue. With a recent report finding Australian punters lose over $11 billion on the pokies each year, pokies reform is back on the national agenda in a big way. This case is an interesting one as the legality of the pokies themselves is not in question, but if Aristocrat, one of the largest and oldest gaming manufacturers is proven to purposely mislead players, it will cause a major industry upheaval. Stay tuned to OnlinePokieGame.com where we will report all the latest findings and media stories.